The industry recommends the purchase of 20% – 25% more uniforms than the number of students you plan to outfit. If you are trying to put 60 students in uniform, you should purchase 75 uniforms. These additional uniforms are necessary to provide stock sizes that allow for fitting your organization in the future. Each year your 60 students are not going to be built exactly like last years 60, so the additional 15 suits are gong to be a variety of sizes that will accommodate your needs. Your decision on quantity should also be based on your projections of future needs. 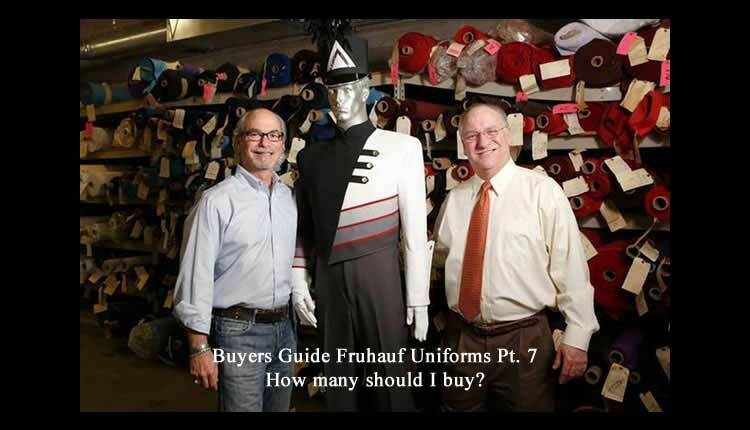 If you currently have 40 kids in your performing organization but you can project 60 students in two years, base your purchase on 60 + 25%, or 75 uniforms, due to cost factors discussed earlier. It is less expensive to buy the additional suits now than it will be after price increases and the loss of your quantity discount.